When is version 3 of iHomeServer being released? When you set up a brand new iTunes media server, you will typically be starting with a blank media library. Many people will also have another copy of iTunes, say, on a laptop, and they'll use this one to download new content the iTunes store. How can your server and laptop iTunes installations talk together? iTunes has detected a problem with your audio configuration. Audio/Video playback may not operate properly. This post shows how iHomeServer for iTunes overcomes this by monitoring iTunes dialogs in the background and automatically dismissing dialogs that can interfere with running iTunes on a server. 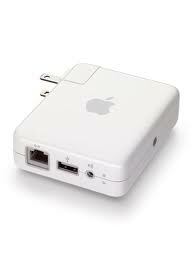 So you've built a multi-room AirPlay setup; an Airport Express in every room hooked to a killer amp. It's all working just great, but then just as you're about to woo the girl of your dreams by playing "Wonderful Tonight" simultaneously in every room of the house, you get the dreaded 'drop-out' or worse still, 'Bedroom Speakers' disappears from the speakers menu of your iPhone Remote App! Use iTunes to create a Sonos like setup for a fraction of the cost! Sonos offers a solution to "Play all your digital music all over your house wirelessly". 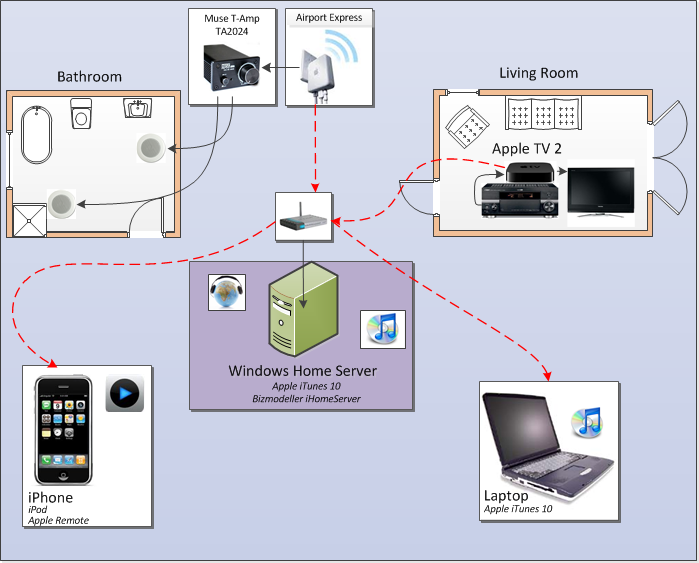 This post shows how you can save around £414 by building a multi-room streaming solution using iTunes and iHomeServer, which also supports video! Why spend money on something when you probably have all the bits lying around the house to set up an awesome media streaming solution? Where are the iHomeServer for iTunes log files?